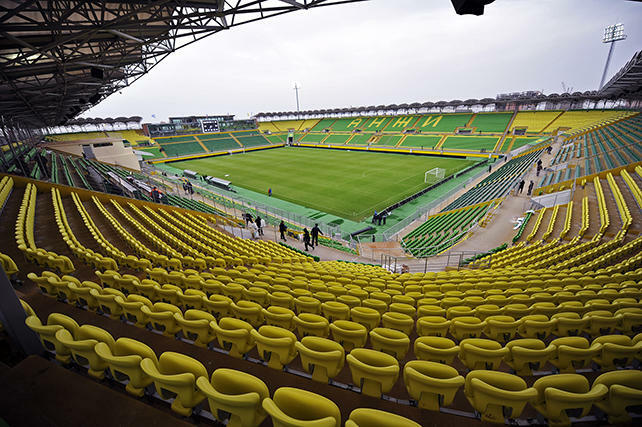 New stadium for Anji, initially named Khazar Stadion, wasn't built in Makhachkala, as one would think, but in nearby Kaspiysk. 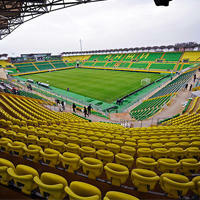 Its story is quite amuzing as soon after its opening in 2003 the venue was abandoned by Anji, who chose to play their games at a different venue, closer to the centre of Makhachkala. 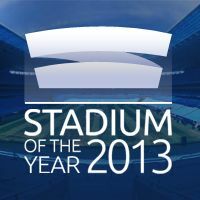 It wasn't until 2011 that they became interested in this stadium again. Old single-tiered stands were renovated, new corner sections erected and then topped with corporate facilities and a modest roof. Anji Arena surely isn't perfect, but it's just a temporary solution. 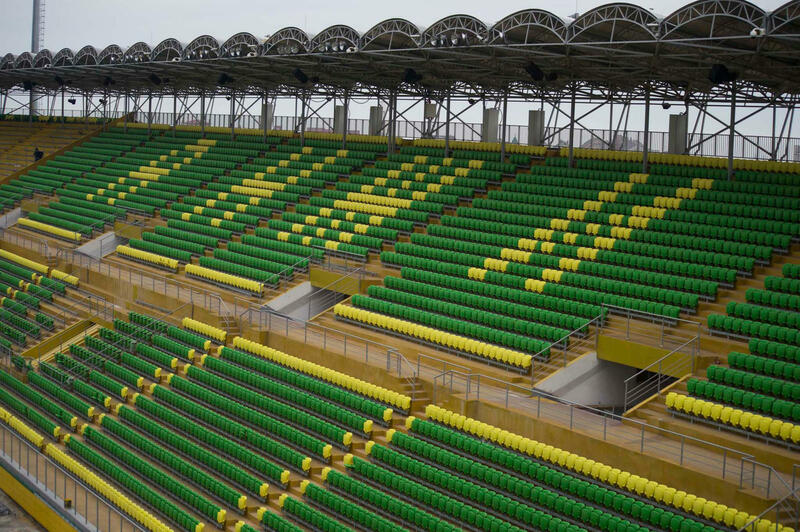 Despite the massive extent of works, the shiny new venue, reopened in March 2013, will become the secondary/training facility of Anji once they finish work on their new stadium, that is now planned to hold some 40,000. Well, that’s a first for us. 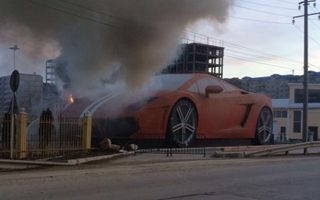 This giant replica of Lamborghini Gallardo stands in front of Anzhi Makhachkala stadium caught fire late last week.